On September 26, 1960, during the preparations for the first televised Presidential debate between John F. Kennedy and Richard Nixon, the Centurion arrived at the Chicago studios where the debates were to be filmed. Wearing a circlet of golden leaves on his head, the Man of Adamant announced that the debates were unnecessary and that he, the Centurion, was now the Imperator of the American Empire! Luckily for the Centurion's reputation, he had a friend there he had never met - Alexander Rhodes, just a few months before his debut as the Scarab, was at the studio after a psychic premonition warned him that a dire threat to the world was in the offing. From his position in the VIP box, Rhodes engaged the being that had displaced Mark Leeds' conscious mind in psychic combat, eventually driving it free and letting the Man of Adamant make his horrified apologies to the bemused executives and VIPs. This had repercussions most people know. The Kennedy administration was always a little cool towards the Centurion (one reason why the new Freedom League never had a government representative) while the Centurion himself realized that perhaps he'd been wrong at the beginning of the decade and that he did need other heroes after all! This was also, unknown to most people, the first encounter that the heroes of Freedom had with the Spiral, enemies who have dogged the 20th and 21st century ever since. We don't know much about them, even now, only accounts gleaned from memories absorbed by psychics who have encountered them like the Scarab, Brainstorm, Chase Atom, and even the reclusive villain Professor Psion - and eyewitness testimony from people like Daedalus, Raven I, and others who have survived having their personalities exchanged with inhabitants of the year 10000 ACE! At least, that's the year they claim it is - there are no written records on the other side. The possible future that is 10000 ACE (so far every encounter has had them in the same year, even decades apart) is a grim one. The Moon is a fiery red in the sky as if recently made molten and the surface of the Earth (around the portholes in the uppermost part of the Spiral's headquarters) is covered in a white, sere desert that on closer inspection is made of tiny shards of broken glass worn down to fragments by prolonged wind and water exposure. The only life visible are various silicate creatures that live in the glassy deserts outside. And the Spiral themselves, of course. if you call that living. They are old beings, very old - they have vague memories of the world above, a desperate flight below, and a last-ditch procedure that granted them survival. But that was all very long ago, and the memories of their fleshy bodies have long since been supplanted by unending centuries of preservation. 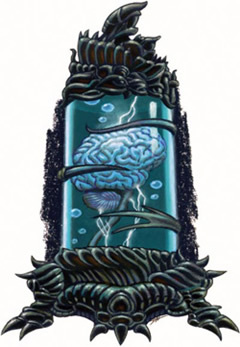 For you see the Spiral are brains, human brains (albeit greatly enlarged), each floating in a preservation tank that (with robot aid) will keep them alive for uncounted more centuries to come. They have libraries, musical collections, all manner of entertainment, but by now they have seen them all, read them all, felt them all. For all their great psychic power, they cannot directly affect their world - especially not the great desert that is the surface. In a few more centuries, the outside contamination will clear enough for them to make their way onto the Surface again with cloned bodies gathered by their computers' scanners. But for now, they are dreadfully, dreadfully bored. This is a bad thing. Even worse, one of them (Spiral Three, the one who possessed the Centurion and bedeviled him as a prankster until 1993) has recently (by their calendar) learned the art of mental time travel, one that it shared gladly with its fellows as a means of offering them an escape from the unending ennui. The Spiral like to play, and even at the best of times their play is sinister in its amusements. Their most gentle game is to find someone of power in the distant past and switch minds with them for a while - casting said person's consciousness into the distant future while they revel in the sensation and powers of their new form. Sometimes this is simply a great jest (by Spiral standards) and the person (if not discovered) will reawaken in their bodies amid a bacchanalia of amusements that they must now pay for, physically, socially, and financially. Other times the situation is darker still. 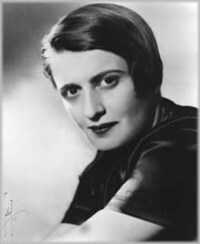 One may decide that a given hero's life is inadequate and they must be improved, made superior, and so will simply move in for days or weeks at a time, fooling even the most intimate partners into believing that they have done nothing stranger than simply read too much Ayn Rand. All the while, they will turn their host cruel and plotting, a ruthless mockery of the noble being they once were. The Spiral has been quiet since the turn of the millenium - perhaps sizing up this new generation of heroes to see exactly what it is they're facing. After all, they don't age and there are plenty of other eras to play with. But none so exciting as our own. And the Spiral do get bored. Oh yes. Spiral-possessed hosts have whatever mental powers the GM thinks will make the adventure interesting, at whatever rank is necessary to make things difficult for the heroes. They are rarely deliberately wicked - but they have no respect for the individual rights of the people of the past and will play with them in whatever way they find the most satisfying. Taunting and boastful when exposed, the only one way to truly terrify one is to injure it psychically and send it back into the future - or far, far worse, find some way to isolate and restrain the mind inside the body. Spiral victims find themselves floating in a sensory deprivation tank in the far future, their neural energies temporarily deposited in a cloned body - breaking out of the tank through whatever means will allow heroes freedom to roam the Spiral complex - but mind the security robots!